This chart contains a comprehensive list of Virginia lice removal professionals. Some of these businesses actually operate treatment centers, which are sort of like hair salons. Many of these are set up so that kids can watch movies while the professionals comb lice and nits out of their hair. So many options available in Northern Virginia! 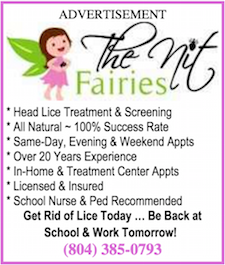 Read the page on this site regarding how to choose among lice removal services. 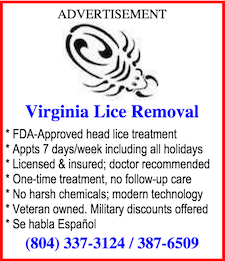 Know of a Virginia lice service that should be added to this page? We want our directory to be as complete as possible. Please let us know using the form below, and we'll update the list promptly.